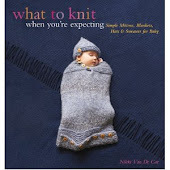 What To Knit When You're Expecting: Willow is 3! 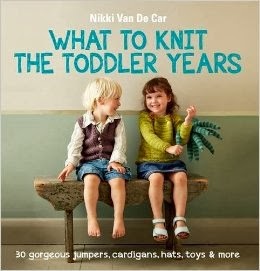 I have discovered something: kid birthdays are way better than grownup birthdays. And I don't just mean that in general, though that's probably true too (my experience with grownup birthdays usually involving rather more vomiting than I would prefer). I mean I like Willow's birthday way more than my own. That has nothing to do with fears of aging or anything (with the exception of 30, my thinking is that time passes and feeling one way or another about time passing is pointless at best. And note the very unflattering 6:30-in-the-morning photo I've myself I've willingly posted). I've hated birthdays since I was a little kid. At the age of, I think, eight or nine, I asked my parents to stop throwing me birthday parties because they made me so miserable. My expectations were too high, my friends from different parts of my life never got along, it was too loud and too crowded, it was all just too much. And I pretty much feel the same way now. Sooo...know what I did this year? I threw Willow a birthday party. My sister (who loves parties) laughed and said "Wow, look at all the new experiences having a daughter has brought you! Throwing parties, now! I can just hear your house sparkling with cleanliness over the phone!" (She wasn't wrong. I spent the week scouring my entire house). 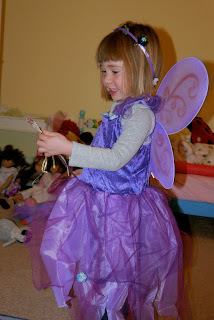 We dressed Willow in a Purple Butterfly Princess Dress (non-affiliated with Barbie or Disney, which let me tell you was not easy) bought a bunch of balloons and then we sicced six of her best friends on her. 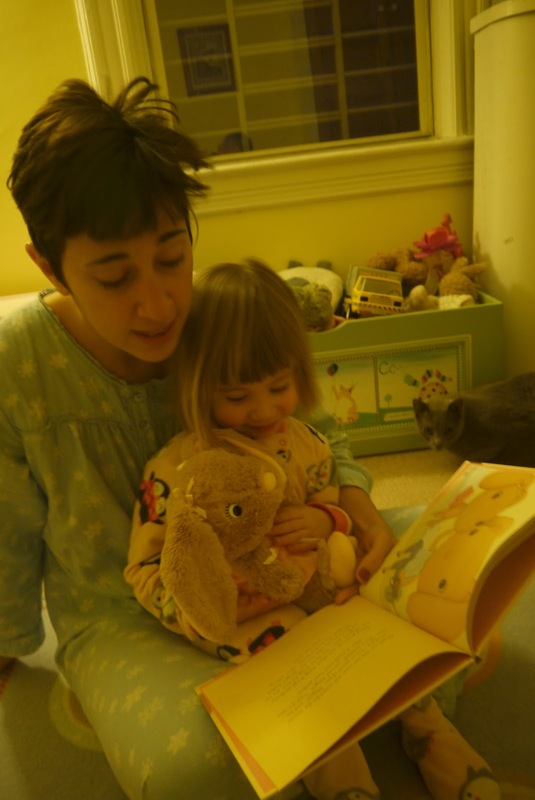 At first, it seemed as though Willow once again took after her mother--she fled to another room and sat quietly while her brother read her a story. But as she grew accustomed to the noise and number of persons and as everybody stopped wishing her a happy birthday and went about their business, she became willing to go about the business of being a birthday girl too. When Willow finally went to bed, exhausted, I was almost too tired to move. I regret slightly not having spent more time with her--with so many people coming to see us, I felt like I should try to talk to them and not leave them fending for themselves. But she never missed us--she had a blast and was a delightful Butterfly Princess Owl Mother Bunny Woodpecker and seeing her so happy and feeling so special made me feel the way I never do on my own birthdays. After I snuck out of her room and set about tidying up the place, I heard a small voice over the monitor singing herself to sleep: "Happy Birthday to you, Happy Birthday to you, Happy Birthday dear Willow, Happy Birthday to you." Awe!! That is precious!! Love that she sang to herself!